This page aims to help you remove Ykcol Virus Ransomware for free. 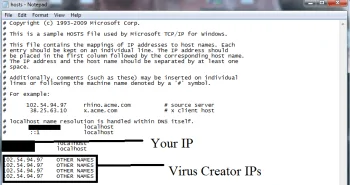 Our instructions also cover how any Ykcol Virus file can be recovered. If you’ve switched on your computer recently to find a rather disturbing note on the screen, which wasn’t there before, saying that your files have been encrypted by Ykcol Virus ransomware and you’re now required to pay someone money – don’t go away. Your PC has been infected by what is considered to be the worst form of malware in existence. Ransomware viruses, though they’ve been around for the better part of three decades, have grown enormously popular over recent years. On the one hand, they’re immensely profitable for hackers and cybercriminals due to the blackmail scheme that they essentially execute. And on the other hand, they’ve also become very advanced – so much so, that cyber security experts and legal authorities are having a really hard time keeping up. This article is dedicated to shedding some more light on the mystery that is ransomware and Ykcol Virus in particular. But we would also like to provide its victims with a working solution to this problem. So, below you will find a detailed removal guide that will help you locate and get rid of the virus. In addition, there are instructions in the same guide that might be able to assist you in restoring the files that Ykcol Virus has encrypted. What does Ykcol Virus actually do? Once it’s made its way on your computer, a ransomware virus will typically begin to scan it for target file types. These can be anything from images and video or audio files to documents, executables and even system files. And after that’s all done, the virus will then proceed to begin creating encrypted copies of each and every one of the files it’s found. As it does that, it will also delete the original file, so that the victim is left with only the encrypted copy, which you cannot access with any program or open in any way. Then, finally after this long, tedious process is finally over, a ransom note appears on the screen to extort money from you and in exchange for that money offer to send you the secret decryption key, which you need to regain access to your data again. 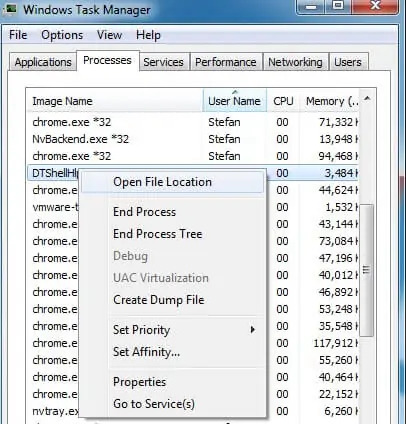 Sometimes, this process can actually take up so much of your computer’s resources due to it either not having much processing power or there simply being an immense amount of data stored on it, that your PC will essentially become very sluggish. In some cases, users are able to recognize this as a symptom of something wrong going on. So, if they act on it and check their Task Manager, they will surely notice an unfamiliar process consuming the most CPU time and RAM. 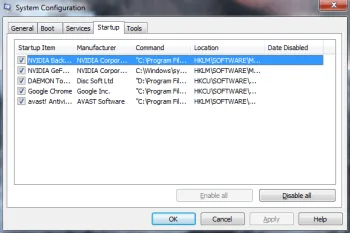 This process is Ykcol Virus or another ransomware variant and that point all you can do is shut down your computer immediately. After this you will need to contact a specialist and under no circumstances switch the machine back on, until you’ve done so. But as this is hardly ever the case, most victims are left with the need to resolve the problem already after they’ve been presented with it. And there are, unfortunately, not too many options for that. We would advise you to see to the removal of Ykcol Virus once you’re done reading here. Because no matter what route you take after that, you would still like to prevent any more files from getting encrypted and potentially also getting infected by other malware. As pointed out, you can do that with the help of the removal guide we have attached below. After that you can try to follow the steps designed to recover your files. We cannot promise you, however, that these steps will necessarily work in each and every case of infection. The reason for that is that each case is different and sometimes, unfortunately, a full recovery may not be possible. You can also try using one of the decryptor tools listed on our website. They are designed to crack the encryption codes for different ransomware variants, so perhaps you will be able to find one that was specifically developed for Ykcol Virus. All in all, we would simply just recommend that you exhaust all your alternative options to paying the ransom before actually resorting to really paying it. I think it is kind of DDoS. The IP’s that you’ve send us should definitely be removed from your Hosts file. Make sure to delete them ad save the changes.